Today’s readings are about responding to God’s call and what it entails. Throughout my mission experience, I came to see in very real ways that we are all called. The readings make clear not only that the life of the prophet is challenging; but that prophets are not always recognized in their own communities. This latter message was never more obvious to me than when the Maryknoll Sisters first brought a women’s leadership program to isolated villages in the Petén region of Guatemala. Though I had not yet arrived in the Petén, there had long been pastoral teams of priests, brothers, sisters and lay people bringing leadership and catechism trainings to the male catechists in hundreds of remote rural villages throughout the Petén. Since a visit from a priest was limited to one or two times per year, three or four catechists were selected from each tiny village to organize liturgies of the word, visit the sick, prepare children for first communion or adults for the sacrament of marriage. Trainings were big events; catechists would come from 10-15 tiny villages and hamlets to a centrally located village and stay for 3 days to learn how to be more effective in teaching and being a faithful presence in their home communities. In the late 1980s the Maryknoll Sisters were invited to offer these trainings to women of the Petén. The catechist trainings were always well organized, for days the hosting village would prepare housing, plan meals, and gather the water and firewood necessary for meals. Many of these tasks were organized and performed by the wives and daughters of catechists. When Maryknoll Sisters showed up at the first women’s training, at least 30 women from remote communities arrived in a remote village eager to learn. They eagerly lapped up the especially picture and story oriented lessons designed for many women who remained illiterate. This was as it had been in every catechesis class offered up to this point. The difference was that when the Maryknoll sisters paused for lunch, there was no lunch! What the organizing male catechists had not even thought of was that it was the very women now receiving the training had always been the ones to orchestrate the many components of preparing meals for each of the previous trainings. In their own experience, the male catechists had always just shown up for the classes. What they failed to take into account was what was happening in the background: the women were gathering wood & water, boiling the water to make it drinkable, starting and tending fires, shucking and grinding the corn to make tortillas, and then making the tortillas, the soups or beans and the coffee that would feed all the catechists. This blatant oversight of the ways in which women were already tremendous organizers and leaders in the community was for me a failure to recognize and embrace some of the most important gifts that are offered daily at the hands of women. A few years later when I would begin directing the women’s promotion program, I knew in my heart that when an opening is created for women to “stand up and tell them all that [God] command [them],” JER 1: 17, the world as we know it has to change. 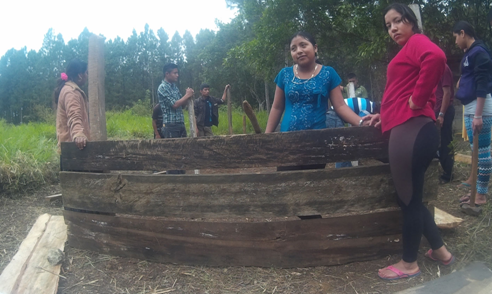 In the later years of the program, as Guatemala began signing the peace accords that would end over 30 years of civil war, the women began asking for more skills to organize small businesses and to contribute even more to their communities. Many of women demanded their daughters continue their education well beyond 8th grade; which prompted pastoral workers to find ways to establish rural high schools to train not only indigenous men but young indigenous women as well. Only 10 years earlier, it was common for a girl to enter into an arranged marriage at age 14, and sometimes younger. This put the lives of many young girls in danger due to high-risk pregnancies. My friend Herlinda was an example of a woman caught up in this shift. Herlinda lived in Nimlaja, a rural community associated with the municipality of San Luis. I knew her when she was about 13 years old. When I would come to visit the village, she would spend a few hours with me helping me learn Q’eqchi’ (the language spoken by the majority of Petén residents). 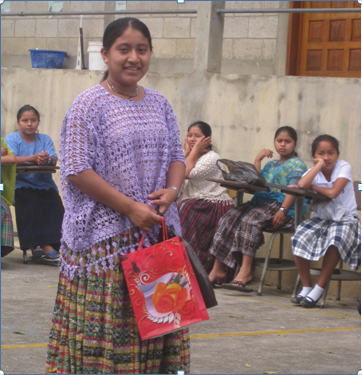 Herlinda, unlike many women in her village, could read and write and she was fluent in Spanish. At age 13 she was a leader in the church choir and helped many women to read passages from the bible as well as other documents they wanted to understand. In Nimlaja, the rains could cause the roads to become completely impassible by car, and difficult to navigate on foot or on horse. I was based in San Luis, about 75 KM (47 miles) by road to Nimlaja. I rarely traveled there in the rainy season, because even in a dryer season the trip there could take 8- 10 hours because the rains would leave huge potholes that would fill with mud in the rainy season. When Herlinda reached the age of 14, she was married to a man her family had selected. After a few months, she became pregnant and was severely anemic during the pregnancy. She gave birth to a son during the rainy season. The closest hospital was about 38 km (24 miles) away, and it was clear that she needed medical attention. But no cars had traveled to the village since the rains began and the only horse the family wad was already being used to take some beans to market, and Herlinda was too weak to walk, and she died without the medical attention she needed. Traditions and customs are hard to change. Jesus faced this as he began his ministry, seeing crowds rise up because they were uncomfortable with the change of world view he posed. So too, as women ease into new roles in this rural villages and in cities worldwide, long observed traditions rear their hold on people and make it hard to see that a new way of being is possible. Today I give thanks for the prophets among us and for the educational opportunities that are now available to the young indigenous women of the Petén. 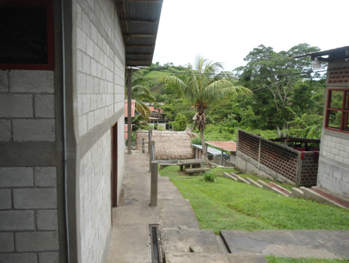 Below are a few photos from the Casa de la Esperanza (Instituto Maya Ococh Hik’eek) in Poptún, Petén founded by Salvador Cutzal, and the Centro Educativo Maya Asunción, San Luis, Petén, spearheaded by the Assumption Sisters in San Luis Petén. These institutions offer hope for the prophets of the future to become the leaders they were called to be and to develop the gift of leadership to bring the good news back to their communities.